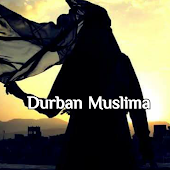 Durban Muslima: Therefore remember Me, I (Allah) will remember you. Give thanks to Me, and reject not Me. Therefore remember Me, I (Allah) will remember you. Give thanks to Me, and reject not Me. "Faz-kuruni az-kurkum washkuru li wa la takfurun." "Therefore remember Me, I (Allah) will remember you. Give thanks to Me, and reject not Me." "Truly in the heart there is a void that cannot be removed except with the company of Allah (SWT). And in it there is a sadness that cannot be removed except with the happiness of knowing Allah (SWT) and being true to Him. And in it there is an emptiness that cannot be filled except with love for Him and by turning to Him and always remembering Him. And if a person were given all of the world and what is in it, it would not fill this emptiness. "~Ibn Qayyim al-Jawziyya.